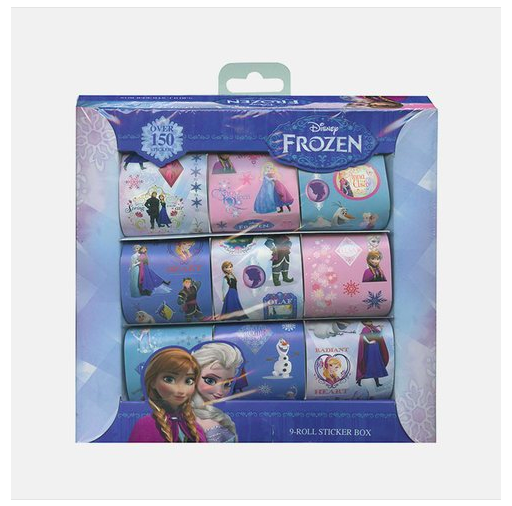 Disney Frozen 9 Roll Sticker Box (150 Stickers) Only $4.99 + FREE Shipping! You are here: Home / Great Deals / Disney Frozen 9 Roll Sticker Box (150 Stickers) Only $4.99 + FREE Shipping! Just spotted yet another Frozen deal!! My daughter loves this movie, so I can’t get enough deals myself! Right now, we can snag this Disney Frozen 9 Roll Sticker Box (150 Stickers) for only $4.99 + FREE Shipping! !